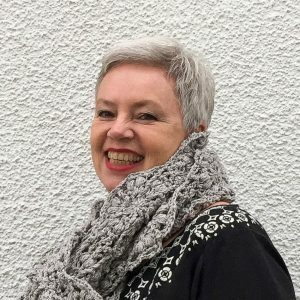 I’m happy to report that I’m doing fairly well in the “Focus, Marianne!”-department, and I’m slowly but surely ticking things off my “must catch up with list”. 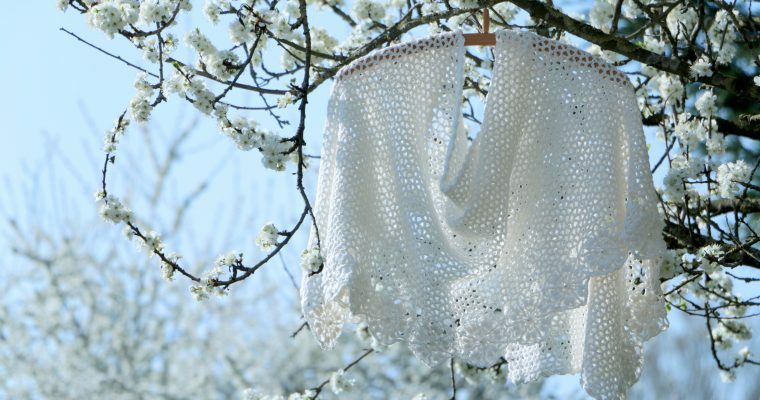 I’m not sure about you, but every once in a while I see a project that almost literally takes my breath away. 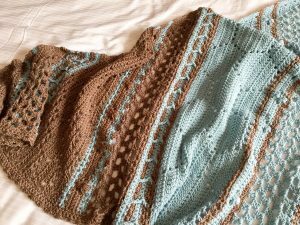 For me Christina’s / A Spoon Full of Yarn “Hotel of Bees”-shawl was definitely one of those – don’t you agree with me that it is utterly-utterly gorgeous? 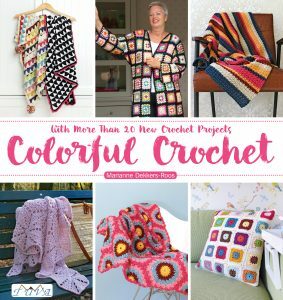 I immediately bought the pattern (here), and the project skyrocketed to the top of my (already very lengthy …) “crochet projects I want to make”-agenda. 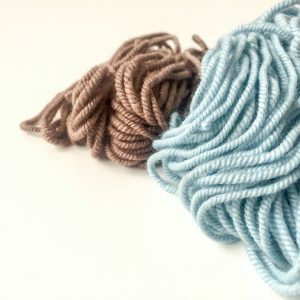 Knowing I would not have the time to start right away (still caught up in finalizing stuff for my book at that time), I nonetheless went ahead and bought the yarn for it (beautiful “Fonty Soyeuse”, a mix of 70% wool and 30% silk) in a lovely shade of light blue (color number 112) and dark beige (color number 102). 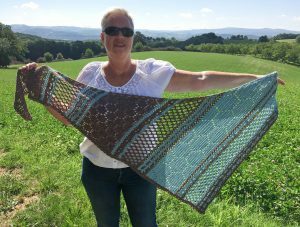 Looking at the fabulous versions emerging on Instagram (#hotelofbeesshawl), and more importantly seeing and touching the super-fabulous HOB-shawl my talented friend Inez / GoedId Handwerk, I could not resist the urge to begin my HOB-shawl any longer. 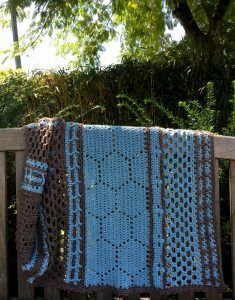 As it turned out, this was a bad decision … You see, the design is not a “let’s crochet in front of the tv”-kind of pattern: all concentration and attention is needed, and at that point in time apparently I lacked too much of both. 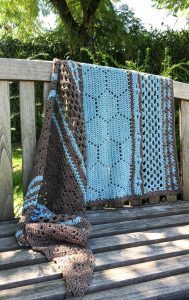 In fact, I ended up beginning twice … and still my stitch count was off – frustrated I undid my first 20-something rows crocheted during the last attempt, sadly thinking this was not a project for me, and that I would have to crochet something different with the exquisite Fonty. 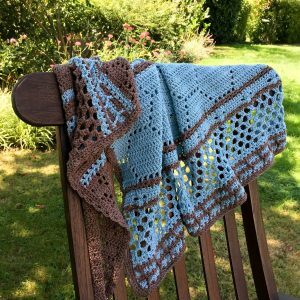 So, right before we left for our summer vacation, I decided to give this pattern one more try, and take it with me to ‘la douce France’. “The rest is history” as they say. 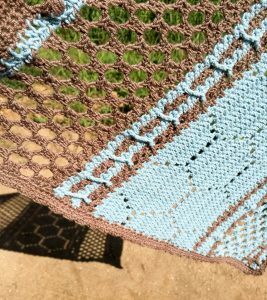 Being in total relax-mode, lounging near the pool, in “Le Petit Chauteau”s alluring surroundings clearly was key in making my “Hotel of Bees”-shawl. 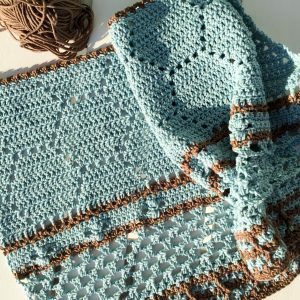 This time things went well and smooth, and the shawl was finished in 2 days (of almost non-stop crocheting): I couldn’t have been (and still am) any happier! 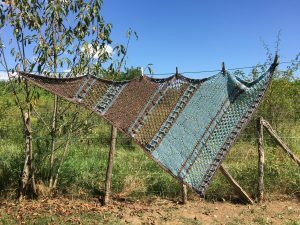 Any projects you’ve fallen in love with lately? Would you mind sharing them with us in the comments? 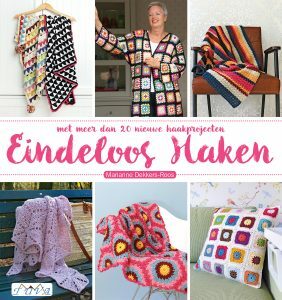 Super mooi blogbericht, wat een beauty! 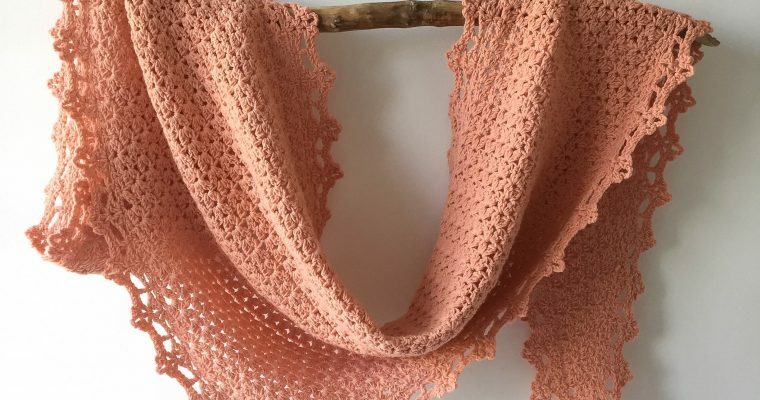 The first shawl I really like! Beautiful combination of colours! 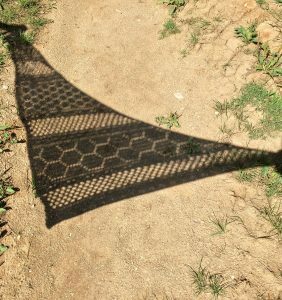 I put it straight in my to do list! 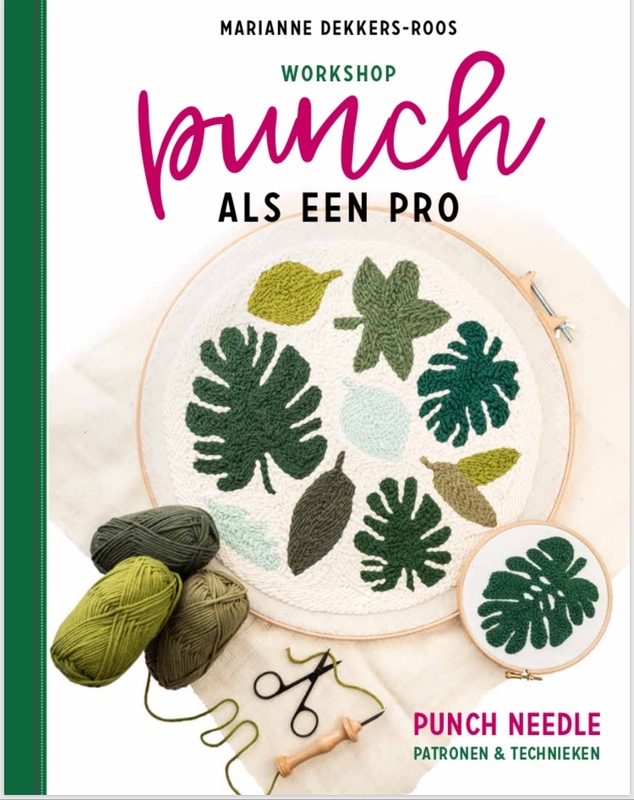 Wat een mooie sjaal, leuk en origineel patroon in een prachtige kleurencombi! Thanks, Susan! 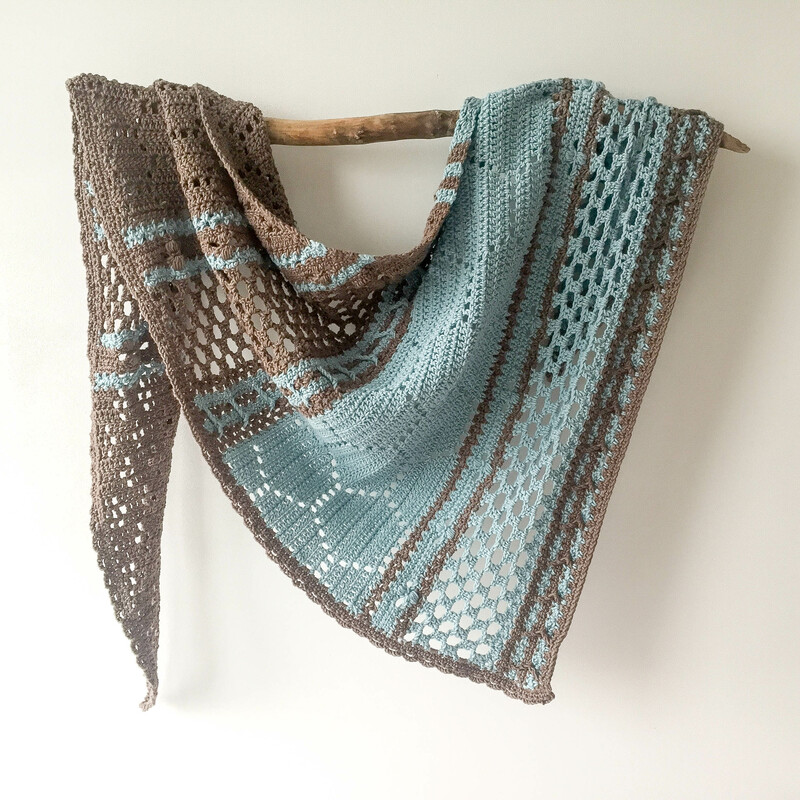 I love making shawls as well – you’re absolutely right: they make perfect gifts!